At a certain age it becomes important to take care of yourself, usually right after your set of baby muscles falls out. Be stronger than your baby self with this voucher. Along with access to the facility’s free weights and cardio and functional-training equipment, members get access to indoor and outdoor boot camp, cardio boxing and kickboxing, spin, yoga, and a variety of group exercise classes—check the schedule for times. There are over 150 classes each month, and all classes are drop-in, but personal-training sessions require appointments. Promotional value expires 90 days after purchase. Amount paid never expires. Must activate by expiration date on your voucher; membership expires 1, 3, or 6 months from activation date depending on option purchased. Limit 1 per person, may buy 1 additional as gift(s). Valid only for option purchased. Not valid for clients active within the past 12 month(s). Limit 1 per visit. Merchant is solely responsible to purchasers for the care and quality of the advertised goods and services. Multiple fitness disciplines converge at Studio 4 Athletics. 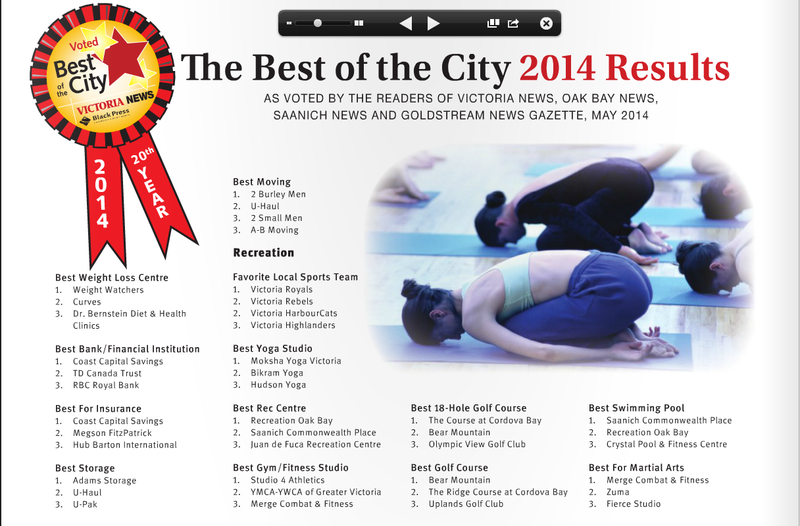 The heritage-style facility that was ranked number one in the Best of the City Gym/Fitness Studio category by the Victoria News houses three floors and eight training areas, each dedicated to a distinct purpose. The cardio area whirrs with the sound of treadmills and ellipticals, and the strength-training area clinks with the sound of free weights and functional-training equipment. In a cycling room, trainers lead a stationary Tour de France. Other studios play host to yoga, dance fitness classes, and boot camps. Within a boxing ring, instructors teach students how to duel their way to tighter forms, or mix fighting and creative movement into art forms known as capoeira and slap-hopscotch.